Spain's Javier Fernandez performs during the figure skating gala event during the Pyeongchang 2018 Winter Olympic Games at the Gangneung Oval in Gangneung on February 25, 2018. 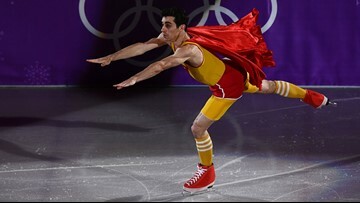 Javier Fernandez of Spain performs during the Figure Skating Gala Exhibition on day 16 of the PyeongChang 2018 Winter Olympics at Gangneung Ice Arena on February 25, 2018 in Gangneung, South Korea. 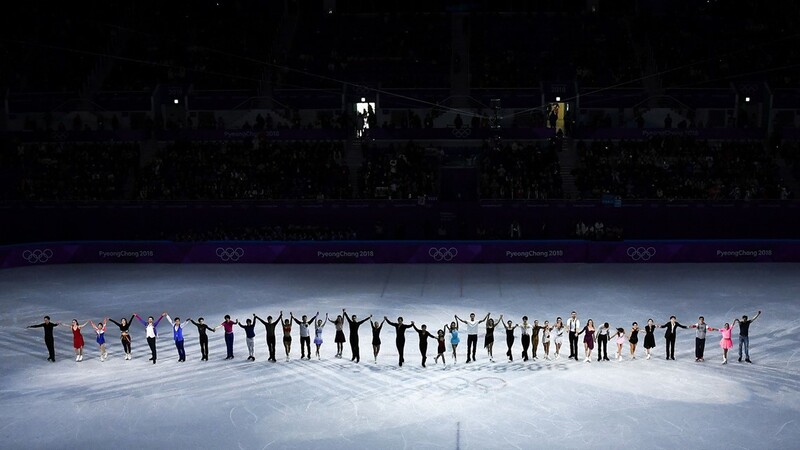 The Olympic medalists perform during the Figure Skating Gala Exhibition on day 16 of the PyeongChang 2018 Winter Olympics at Gangneung Ice Arena on February 25, 2018 in Gangneung, South Korea. 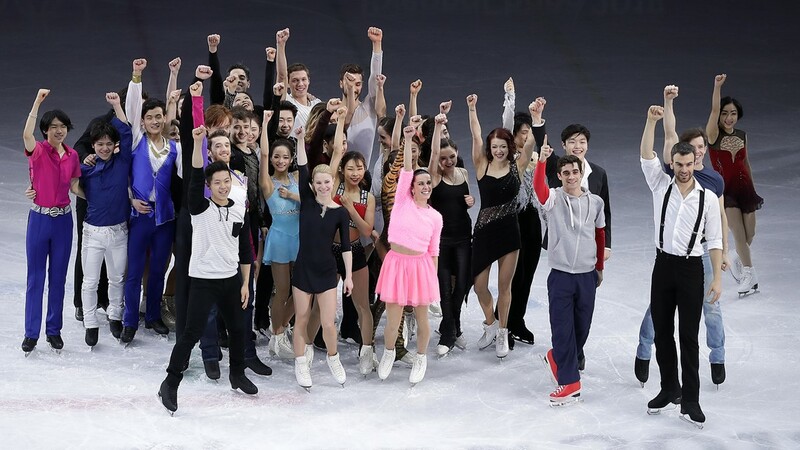 Figure skaters gesture after the gala event during the Pyeongchang 2018 Winter Olympic Games at the Gangneung Oval in Gangneung on February 25, 2018. Russia's Alina Zagitova performs during the figure skating gala event during the Pyeongchang 2018 Winter Olympic Games at the Gangneung Oval in Gangneung on February 25, 2018. Canada's Scott Moir and Canada's Tessa Virtue perform during the figure skating gala event during the Pyeongchang 2018 Winter Olympic Games at the Gangneung Oval in Gangneung on February 25, 2018. Italy's Valentina Marchei and Italy's Ondrej Hotarek perform during the figure skating gala event during the Pyeongchang 2018 Winter Olympic Games at the Gangneung Oval in Gangneung on February 25, 2018. 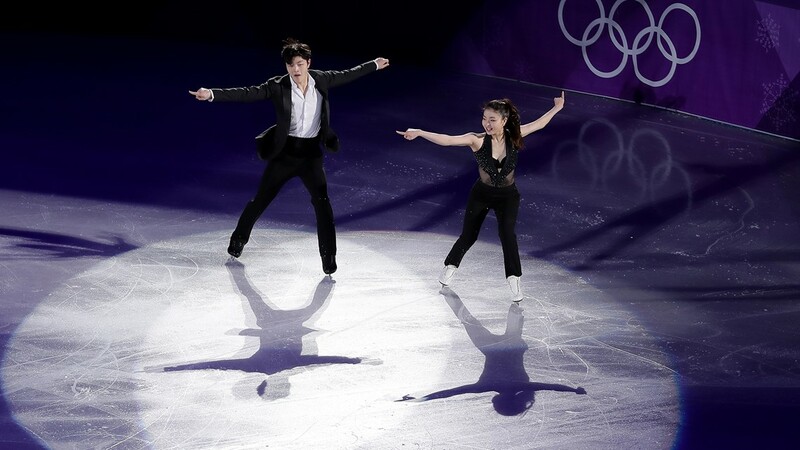 Maia Shibutani and Alex Shibutani of the USA perform during the Figure Skating Gala Exhibition on day 16 of the PyeongChang 2018 Winter Olympics at Gangneung Ice Arena on February 25, 2018 in Gangneung, South Korea. France's Gabriella Papadakis and France's Guillaume Cizeron perform during the figure skating gala event during the Pyeongchang 2018 Winter Olympic Games at the Gangneung Oval in Gangneung on February 25, 2018. Italy's Anna Cappellini and Italy's Luca Lanotte perform during the figure skating gala event during the Pyeongchang 2018 Winter Olympic Games at the Gangneung Oval in Gangneung on February 25, 2018. Canada's Meagan Duhamel abd Canada's Eric Radford perform during the figure skating gala event during the Pyeongchang 2018 Winter Olympic Games at the Gangneung Oval in Gangneung on February 25, 2018. 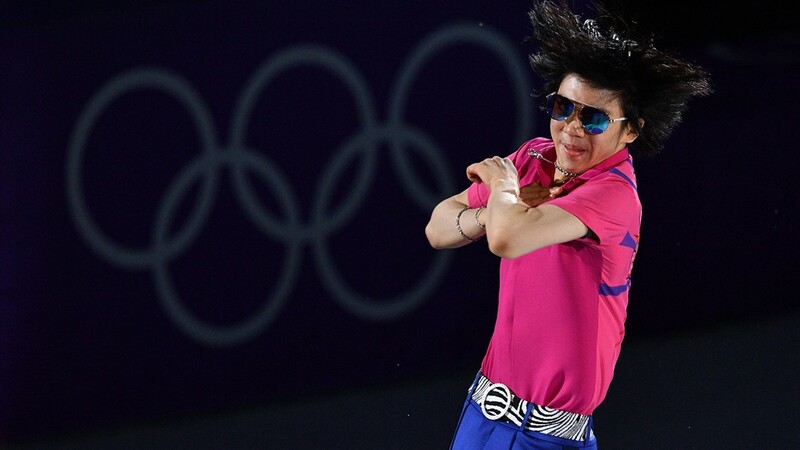 South Korea's Cha Junhwan performs during the figure skating gala event during the Pyeongchang 2018 Winter Olympic Games at the Gangneung Oval in Gangneung on February 25, 2018. Russia's Ekaterina Bobrova and Russia's Dmitri Soloviev perform during the figure skating gala event during the Pyeongchang 2018 Winter Olympic Games at the Gangneung Oval in Gangneung on February 25, 2018. 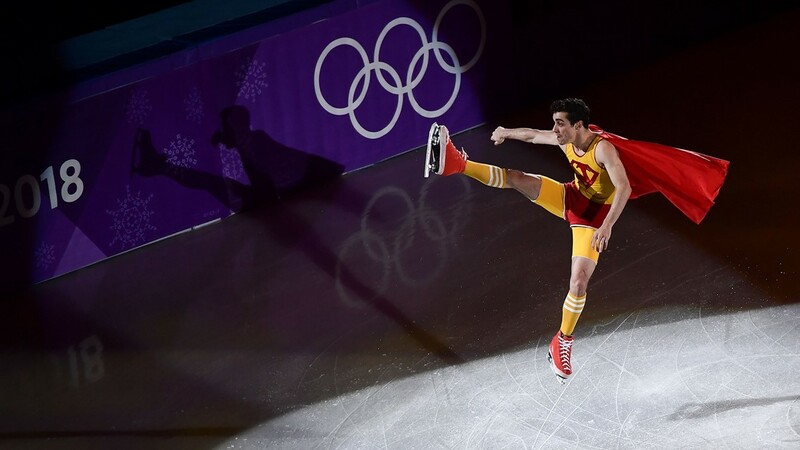 North Korea's Ryom Tae Ok and ju North Korea's Kim Ju Sik perform during the figure skating gala event during the Pyeongchang 2018 Winter Olympic Games at the Gangneung Oval in Gangneung on February 25, 2018. 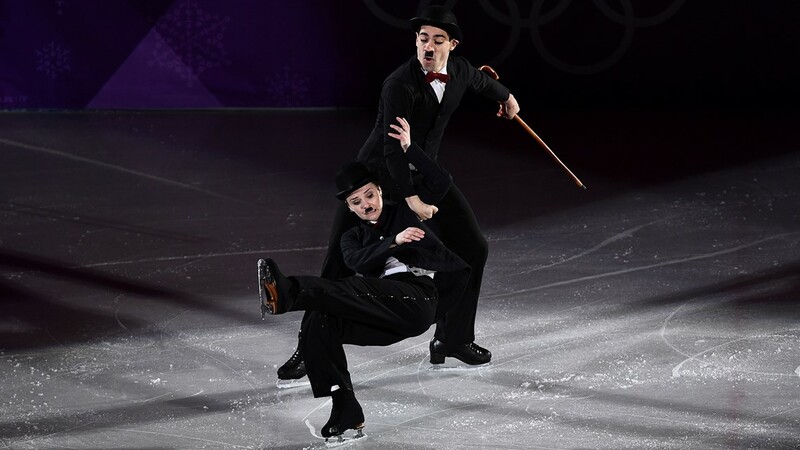 Russia's Evgenia Tarasova and Russia's Vladimir Morozov perform during the figure skating gala event during the Pyeongchang 2018 Winter Olympic Games at the Gangneung Oval in Gangneung on February 25, 2018. 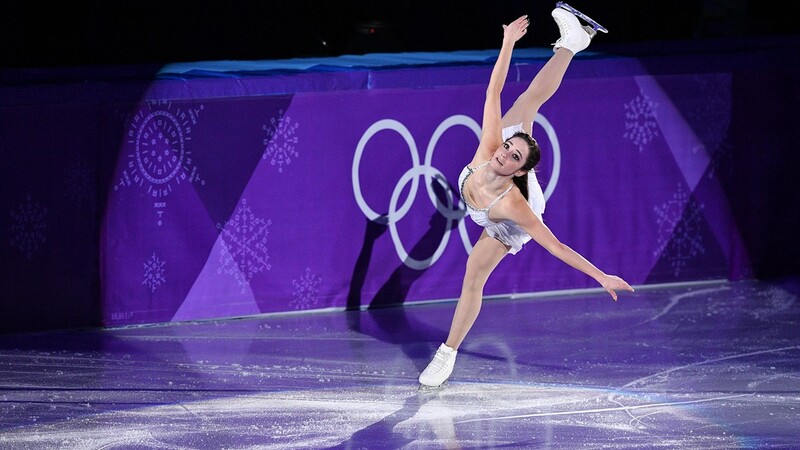 Canada's Kaetlyn Osmond performs during the figure skating gala event during the Pyeongchang 2018 Winter Olympic Games at the Gangneung Oval in Gangneung on February 25, 2018. 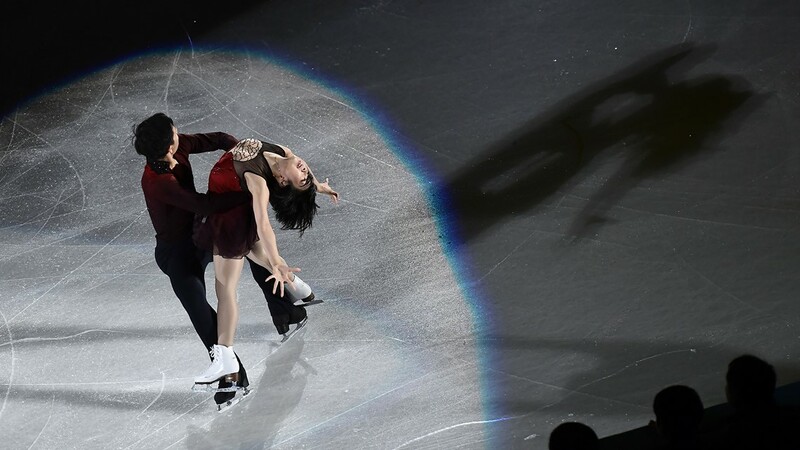 China's Sui Wenjing and China's Han Cong perform during the figure skating gala event during the Pyeongchang 2018 Winter Olympic Games at the Gangneung Oval in Gangneung on February 25, 2018.